According to studies, in every four doctors, one employs the use of mobile communication with their clients. This usually happens during the space of time before the patient’s next visit. This shows the need for communication between doctor and patient even after their visit. With Hudibia.com, it can go only get better; and in fact, the process just gets better. All of these is to help with an effective patient-doctor communication and relationship. This is a huge benefit for you as the patient, as it serves as a platform to get in touch with your doctor in case of any clarification needed about your condition or medication. This is paricularly beneficial to patients with chronic diseases and conditions, as healthcare providers can easily and conveniently stay in touch with you as often as they need to. This form of communication has been observed to improve the quality of healthcare and produced tremendous results of patients’ recovery. In the past, one of the problems that has been associated with healthcare is adherence to medication procedure and schedule by patients. It was observed that the moment patients leave the office of their healthcare providers, a good number of them tend to forget a lot of things they were told by their doctors. As a result, they are back to their former activities and routines. This is partly because, they get all confused about their medication and proposed therapy when they reach their homes, and are lazy to go back to the hospital for clarification. With Hudibia app, patients can communicate with their physicians at any time and any day – as often as is required. This app can also provide notifications for patients to remind them and help stick to the recommended schedule given by their healthcare providers for their treatment and medications. This goes a long way to improve outcomes of treatments and medications. 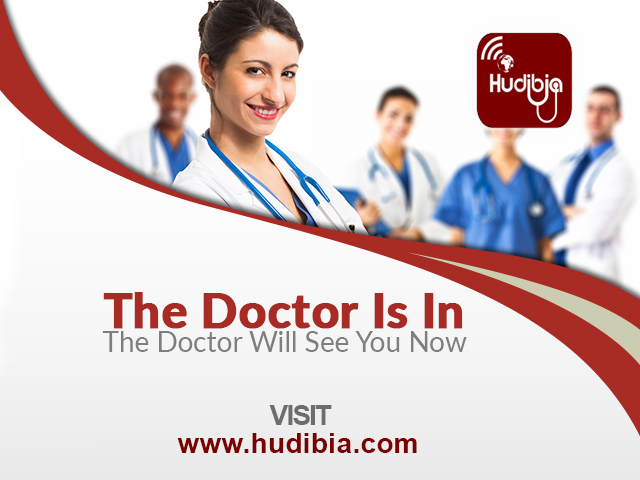 With the mobile health platform Hudibia.com, it is easy for patients to have acess to personalized treatment right at the comfort of their homes. Since the app allows your healthcare provider to keep tabs on you, it allows him or her to provide tailor-made information concerning your health condition and situation. Patients can as well have access to update information information concern their health condition, and perhaps any progress made or compplications encountered. This app also comes in handy during emergency health communication. Particularly in recent times, the rates of emergency visits have reduced. It comes with features that allow you to conveniently get in touch with required help when an accident happens in a place where there’s nobody to help. With just a press of the right button, help is sent your way. All your health information can now be in one place. Patients can now search for any available and desired doctor or hospital; Vet a doctor’s qualification and experience, as well as get information about common medical conditions. You can also consult with a doctor or a qualified representative, and possibly book an appointment with a doctor. This platform (Hudibia.com) allows any healthcare provider access to already-existent information on your health as a patient, thereby ensuring better disgnoses. As this technology is gradually embraced by both healthcare industries and patients, there has been noticeable reduction in readmission rate. This is a valuable development in the healthcare industry and ensures excellence in administrations of treatment to patient. To download Hudibia from google play store click here, for App store click here. Next What is The Best Foods to Get Relief from Arthritis?